The record-breaking number of healthcare breaches that occurred in 2016 made millions of stolen healthcare records available for sale on the Deep & Dark Web (DDW). This abundance of stolen data has criminals anticipating significant profits to be generated from income tax fraud schemes that cost taxpayers billions of dollars annually. 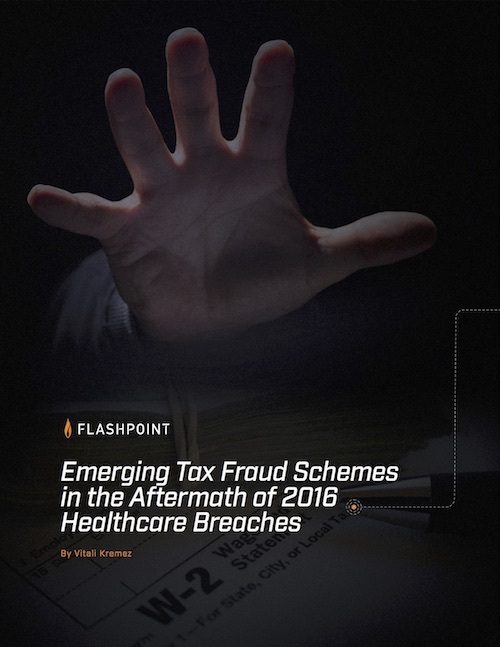 Insights gleaned from this report can help both public and private-sector organizations combat fraud, bolster security, and address risk during the 2017 tax season and beyond.